Before Brighton & Hove Albion were born in 1901, the conjoined Sussex towns were represented by Brighton United, who wore green, white and black, and Brighton & Hove Rangers, who played in Juventus style black and white vertical stripes. Albion began life wearing solid blue shirts, light blue between 1901-1903 and a much darker blue for 1903/04, before the kit most readily associated with Brighton, blue and white vertical stripes was adopted. 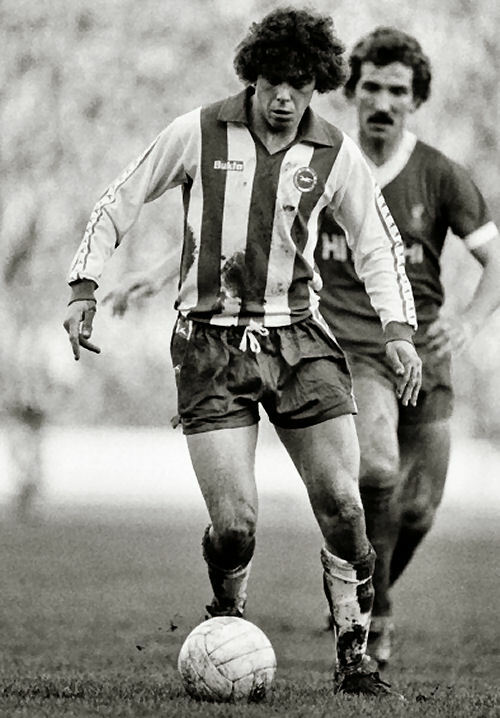 The Seagulls have gone plain shirted on occasion, they played in the 1983 FA Cup final in largely blue shirts, but have mostly gone with stripes, though sometimes varying the shade of blue used. The 1970s were kind to Brighton strips, with them not only being similar throughout the decade but all equally strong looking kits – that strong in fact that more recent kits appear to hark back to these days. The outstanding kit of the era is the 1977/78 Bukta creation with large flappy 70s collar, three simple blue stripes with white sleeves and Bukta brand detailing along the outside of the sleeve. 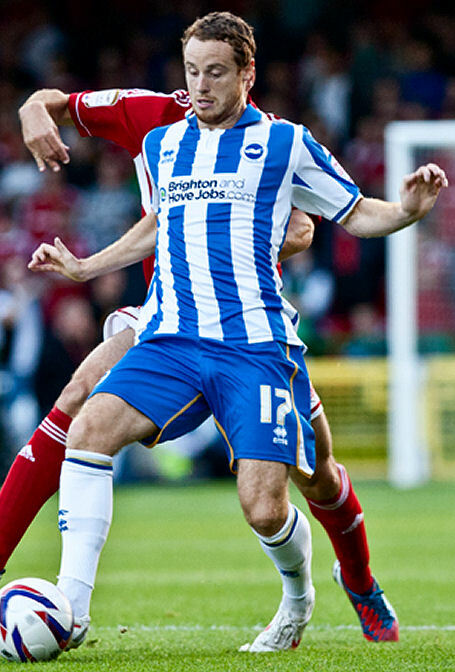 Coupled with plain blue shorts and white stockings, it’s what most would expect a Brighton kit to look like. Honourable mention: This 80s stripeless affair was rather good. 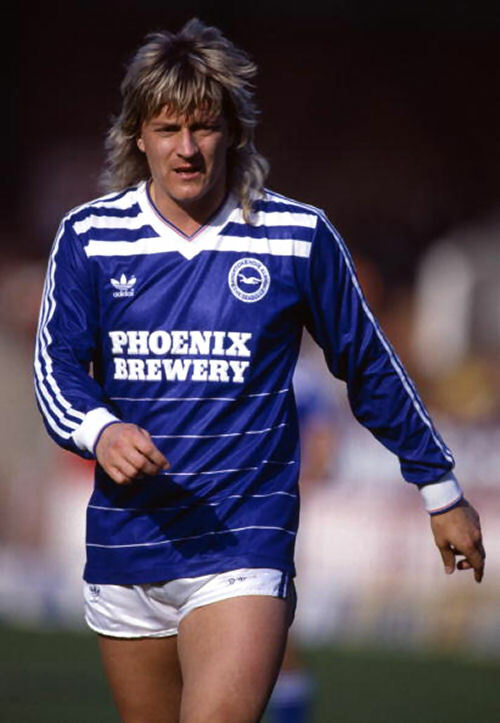 Brighton spent much of the 80s playing in solid blue shirts but went black to stripes late into the decade. 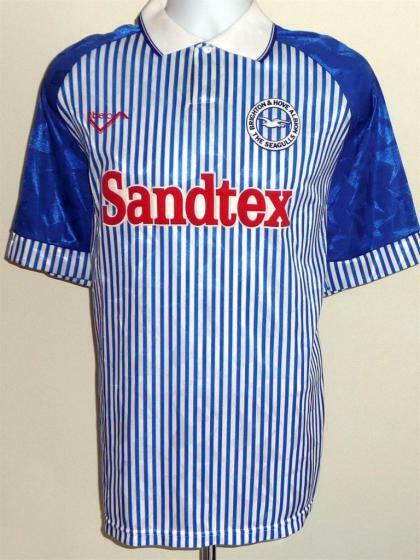 The 1991-1993 Ribero shirt was a decent, traditional affair with blue stripes bordered by pinstripes. 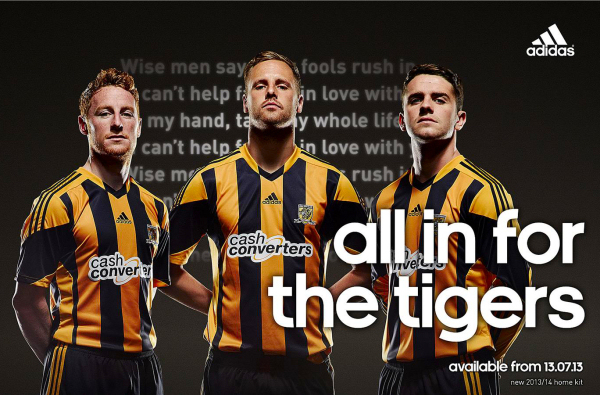 The mistake was carrying on the stripes to the shorts. That’s right, vertically striped shorts. 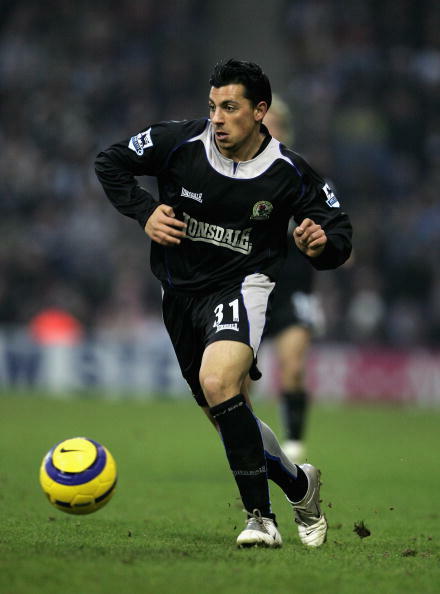 The club persisted for two seasons (as was typical in the days before kits being changed every year) and sadly for the Brighton fans, the remainder of the 1990s were not kind to the club attire either, only returning to some sort of normality in the early 2000s. Dishonourable mention: Ribero’s unkind on the eyes fine striped 1993/94 shirt. Modelled on the traditional kit, the sponsor cuts across the stripes working well and giving the sponsor logo room to breathe. Gold trim introduces a third, and in my opinion superfluous colour but doesn’t hurt the overall look. The collar is a modern slant on the 70s style and when paired up with solid blue shorts and white stockings, overall it’s a pretty solid looking kit. 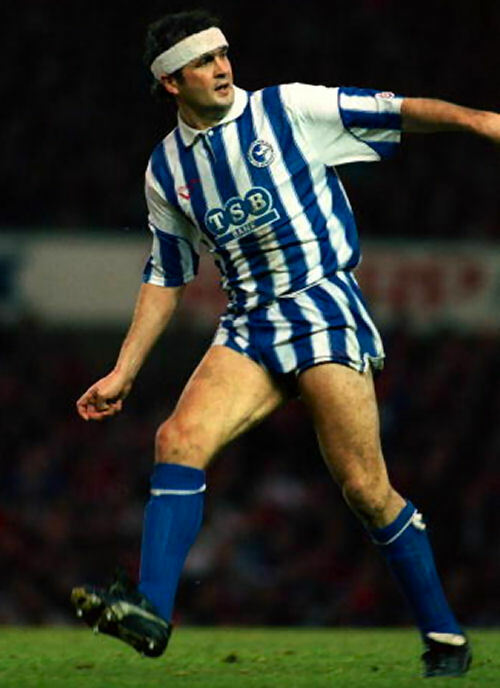 Brighton have had some horror away kits (as have we!) 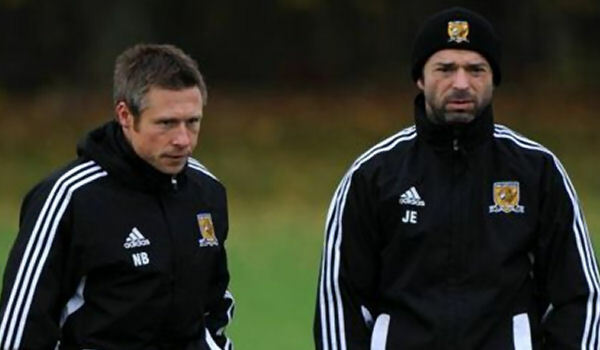 but we’ll look at those before City travel to the Amex Stadium.